It is next to impossible to pin a label on the Cinzia Ophthalmic collection. It is actually easier to describe what it is not. The collection is not run-of-the-mill, not typical, not something you will see on everyone else coming and going. They are as far from boring as you can get. 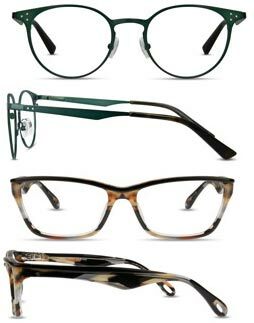 What the Cinzia Ophthalmic line does offer is frames that are bold, colorful, avant-garde, and always trendsetting. They are sophisticated with a decidedly edgy twist. They are uncompromising in their attention to detail and craftsmanship.